The Meroka CIWS provides ships with a strategic point defense against anti-ship missiles. With an optronic targeting system as a backup to the system’s radars, the Meroka can operate in a jammed environment, which is an important air defense capability. The four three-barreled salvoes of the Meroka is beneficial as it has less time between each firing compared to other CIWSs which use a gatling gun design. 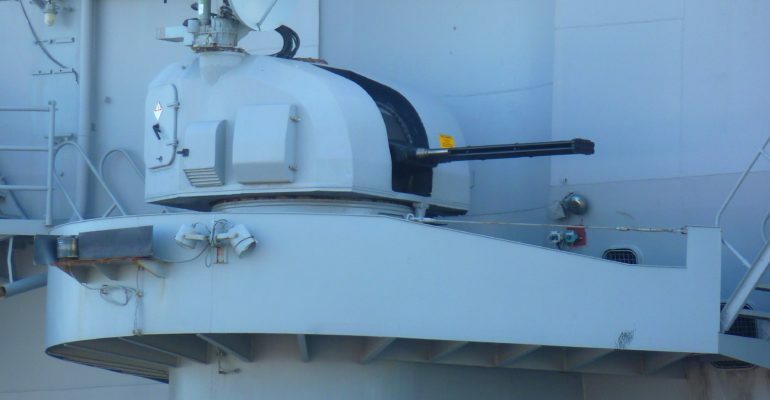 The skewed barrels of the guns also increase the lethal area of the system, making it easier to intercept targets.